The 2018 Ski Vermont Specialty Food Days Tour will kick off on January 26th. Visit us during the tour to try some great Vermont products, like Barr Hill, and to enjoy Vermont's slopes! Skiers and snowboarders will once again be able to snack, sip and ski their way through Vermont’s favorite local food and drink vendors this year with the return of Ski Vermont’s Specialty Food Days Tour. This slope side tour will kick off on January 26th at Jay Peak Resort visiting fifteen resorts over the course of ten weeks. 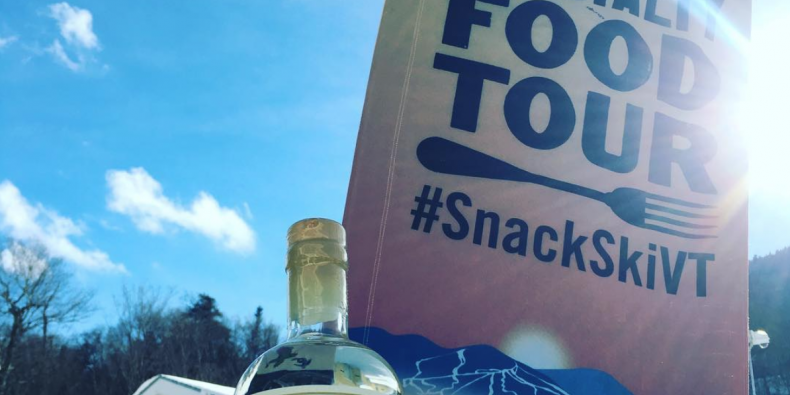 During the tour, Ski Vermont will run an Instagram contest where the first five people at each Specialty Food Tour stop to share a picture with the #SnackSkiVT hashtag will receive a Cabot Cheese tote bag filled with vendor and Ski Vermont products. 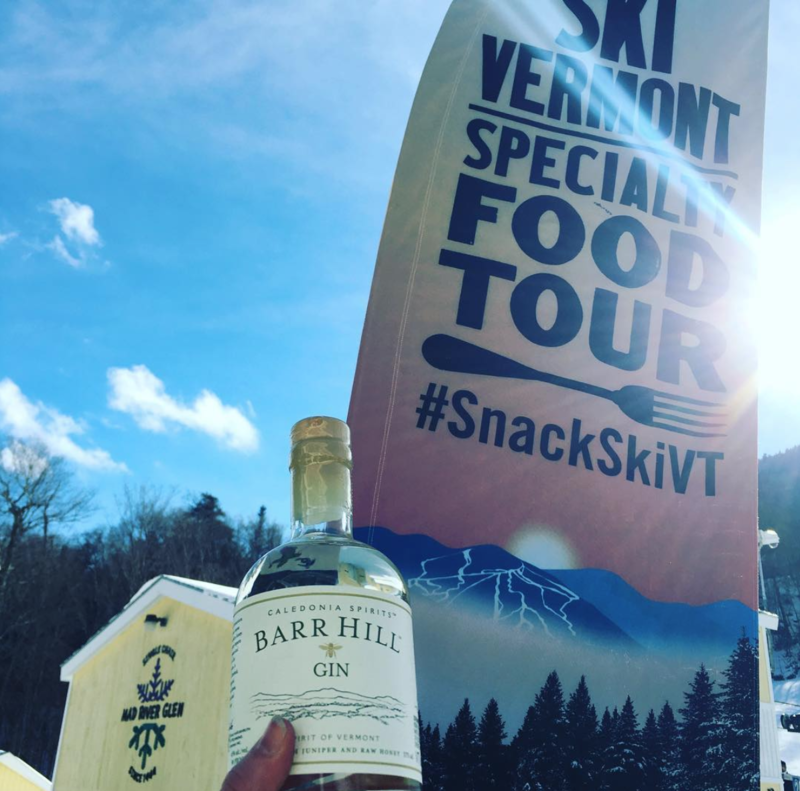 Follow Ski Vermont on Instagram at @Ski_VT during the Specialty Food Days tour to share images and stay up to date with each tour stop’s offerings. New this season, Ski Vermont has added Vermont Amber Organic Toffee, Good Mix Foods, The Simmering Bone, Vermont Tortilla Company, SAP!, and Fat Toad Farm to the lineup. Other vendors include iconic Vermont brands Ben and Jerry’s, Long Trail, Cabot Cheese, Woodchuck Hard Cider, Barr Hill, Mad River Distillers, SILO Distillery, Kimball Brook Farm, It’s Arthurs Fault!, Ambrosia Confections and Mountain Grove Coffee.